Pulse jet valve (also called diaphragm valve) is the "switch" for compressed air in the dust clean blowing system of the pulse bag filter. 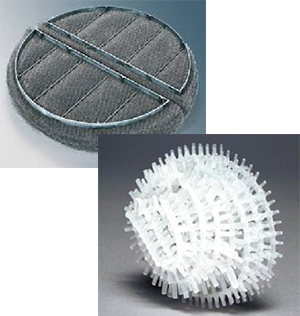 Controlled by the output signals of the pulse jet control device, it makes dust clean to the filter bags cell by cell to keep the resistance of the baghouse within the set range and thus guarantee the processing functions and the dust-collecting efficiency of the baghouse. Pulse jet control device is a main control device in a jet dust-cleaning system of a pulse bag-house. 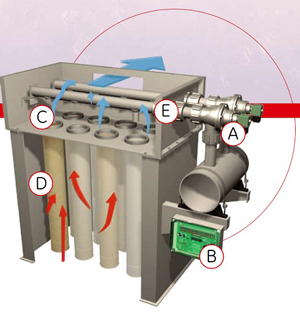 It outputs driving electromagnetic pulse valve, to control compressed air to jet duct on the filtration bag in a proper sequence, and to keep the operation resistance to clear dust within the set range, so as to guarantee the processing capability and dust-Collection efficiency of the bag house. The control device creates driving voltage output every time. One driving voltage has duration, called a pulse width. The interval. The time necessary for control device to complete electromagnetic valve outputs of all bits is called as pulse cycle. Pause time between the two pulse cycles is all as cycle interval. 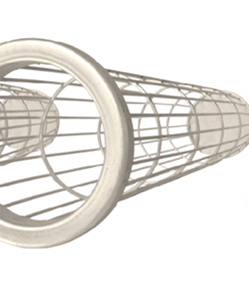 Each cage made can fit to the requirements of being light, handy, smooth and straight. Cage resembles the rib of bag. It should be light, handy, easy to install, maintain. And it is smooth and straight, to prevent the bag from damage. 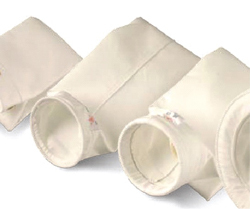 The filter bags are the key elements which determine the dust collecting efficiency and working temperature. Renewal of bags create major cost in maintaining bag-house. So the lifetime of qualified bag can last from two years to six years under the condition of reasonable usage. Differential Pressure Gauges make use of simplicity; have no friction of the magnetic element of spiral movement, with rubber film slice as the sensitive component in measuring flexibility pressure. 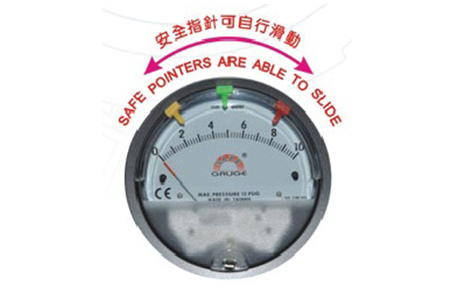 It can make use of index sign to indicate the measuring of gaseous pressure quickly, no matter of positive, negative or differential pressure. This design has shaking and over pressure function. 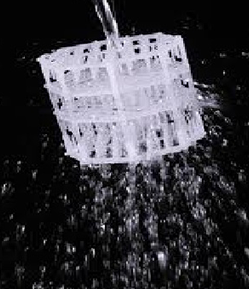 Nevertheless, there's no need to have liquid inside, therefore, no gaseous, freezing, and strange smell. Digital Differential Pressure Controller is a 3 in 1 instrutment possessing a digital diplay gauge, control relay switches, and a transmitter with current output all packed. Combining these 3 features allows the reduction of several instruments with one product, saving inventory, installation time and money. The Digital Differential pressure controller is the ideal instrument for pressure, velocity and flow applications, achieving a 1% full scale accuracy on ranges down to the extremely low 0.25"w.c. to 2.5"w.c. full scale. Range of 5"w.c. and greater maintain 0.5% F.S. accuracy. Bi-directional ranges are also available. 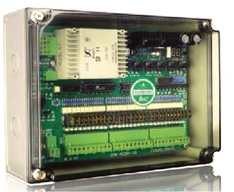 The Series J-6500 Digital controller allows the selection of pressure, velocity or volumetric flow operation in several commonly used engineering units. 2 controls relay with adjustable deadbands are provided along with a scalable 4-20 mA process output. The Averaging Flow Sensor is ideal for sensing differential pressure in the inlet section of variable air volume terminal units and fan terminal units. 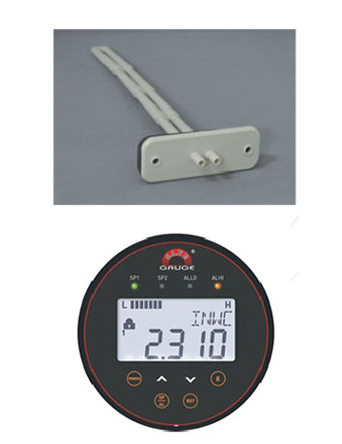 It is use to measure the amount oh HP, LP and differential of flow. In flow system, the problems of space room are always not enough for pipe and causing flow move problems. 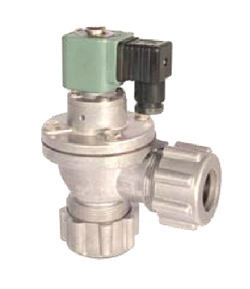 Multi-point pressure detection hole, the average gas flow pipeline characteristic curve, and can effectively improve the current measurement of the interference problem. Flow Sensors Units can also be used to sense differential pressure at the other locations in the main or branch duct systems. Packing material is the heart of the tower. It provides the surface over which the scrubbing liquids flows, presenting a large area for mass transfer to occur. Packing material represents the largest material cost of the packed tower.